"Gluten free" should be the same as "safe for people with Celiac Disease." If other people want to partake in that restriction, that's OK. 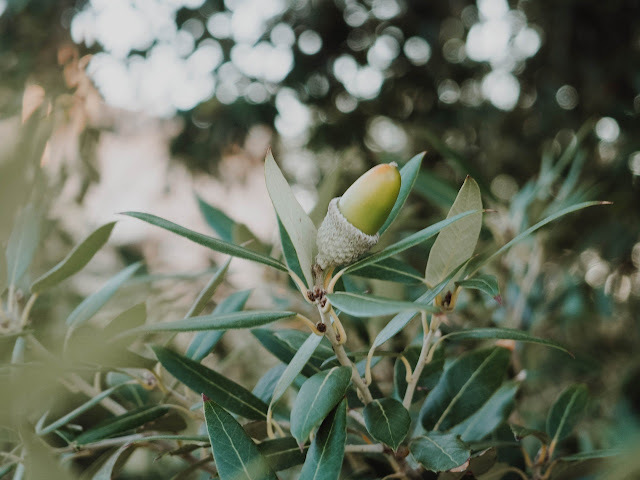 But if so called "gluten free options" exist which would not be safe for those with Celiac, then that carries a risk of injuring people with Celiac Disease, Gluten Allergy, Wheat Allergy, Gluten Ataxia, some forms of IBD, and EDS (among other diseases). 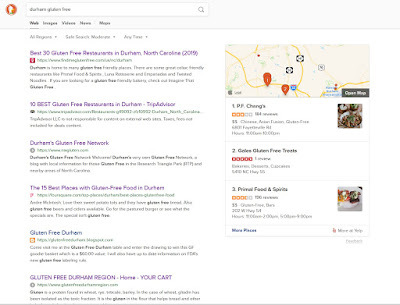 Since most search engines interpret the phrase "gluten free" to mean that a person is probably looking for a restaurant, restaurants are centrally affected and at risk of injuring people. Several others have written about the problem of Celiac Safe vs Gluten Free, besides me, here and here and here. Believe me, that's a tiny sample of the frustration. And right now, the problem seems insoluble. But I have a suggestion. 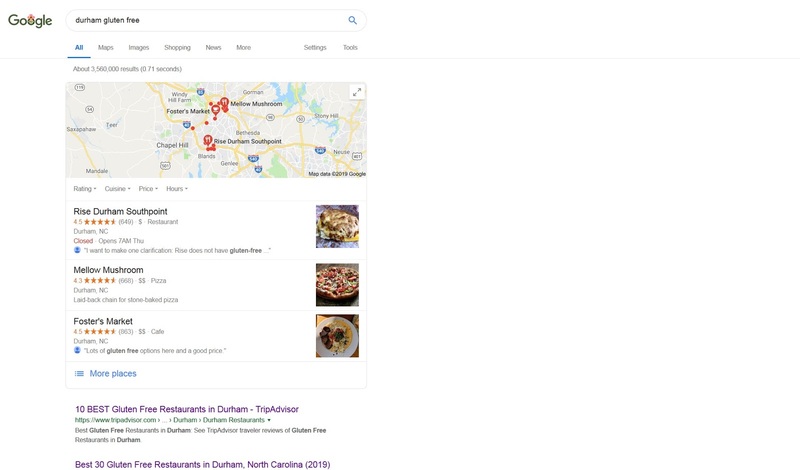 How about we fix our search engine results first? 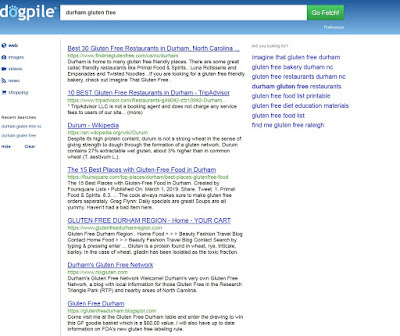 Fixing search engines to reflect the actual needs of those with Celiac Disease wouldn't be hard. Not for Google or Bing, or the owners of other search engines. 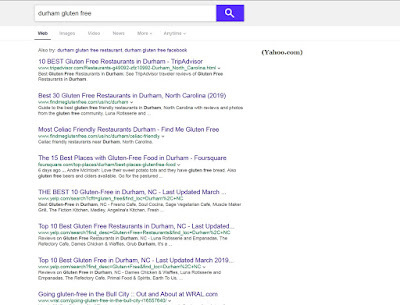 They could search for the word "option(s)" after the phrase "gluten free" and eliminate, or downplay those who only offer "options" for people with Celiac. It would be a start. 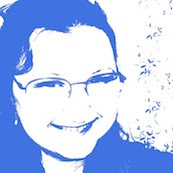 However, it's impossible for a lay person to affect how search engines work just by asking. Usually this sort of thing doesn't change until someone forces the change. Someone (heaven forbid) dies of an allergic reaction and suddenly a lawsuit changes everything. Do we really want to wait for that? It seems macabre to me. 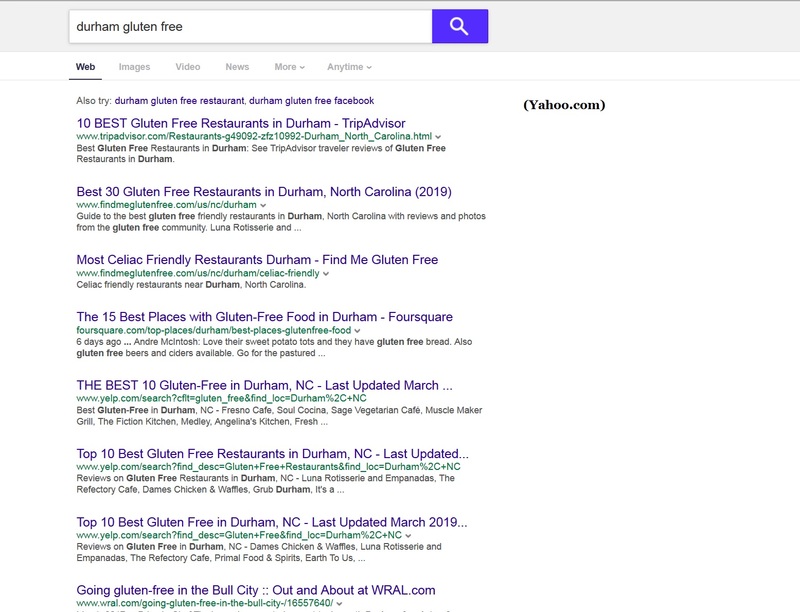 So in the interest of illustrating the problem, I present a series of screenshots, taken today, showing how badly the Celiac community is being neglected by the search algorithms. If this is what people can expect from artificial intelligence software, then we don't have to worry about machines taking over the planet! To make it a bit less boring, I've gone ahead and graded them, though the grades shouldn't be surprising. 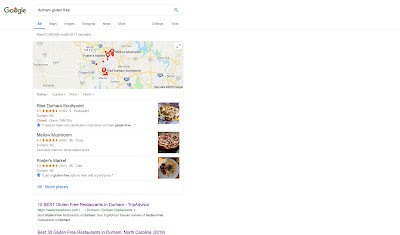 Google takes up most of the first page with a map and restaurant suggestions. 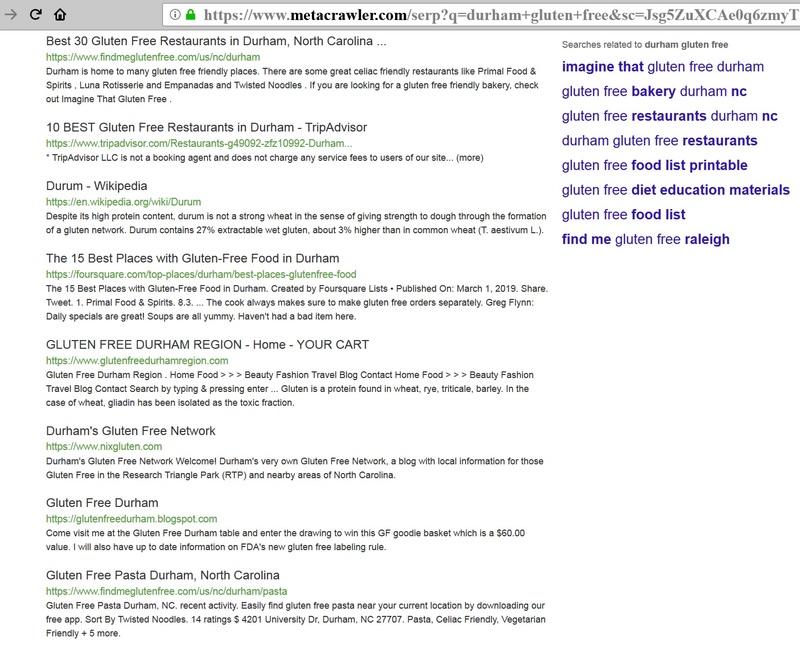 Because many restaurants offer "gluten free options" they get listed here whether or not they give a hoot about people who need gluten free. 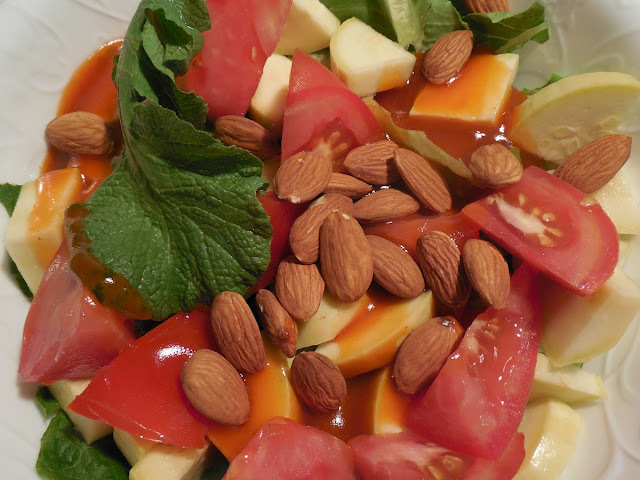 No priority is given to the two restaurants in the area that are fully gluten free, Primal and Fresh Levant. 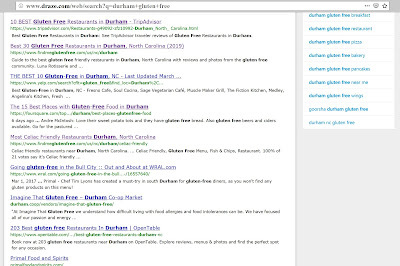 Or the food truck Medley, which is in Durham, and fully gluten free. I also didn't say "restaurant" but a large part of the results is taken up by such, and most people who are sick, like me, and need gluten free, like me, don't eat at restaurants, or rarely do. 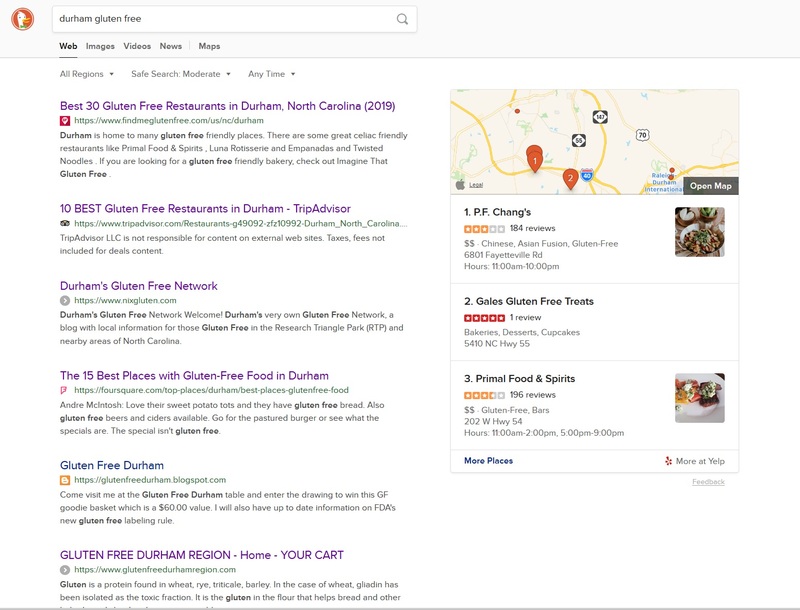 I know everyone has criticism for Google, but wasting so much front page space with something I didn't even ask for earns them an F.
How come so many pizza places and burger joints which are unsafe, end up with good reviews for "gluten free"? How can a person find the Celiac safe options that already exist? Kudos that the restaurant list starts with Primal, but where are Medley and Fresh Levant? I also didn't say restaurant and yet it was assumed. The results however, are thankfully a bit more diverse after the pictures at the top. 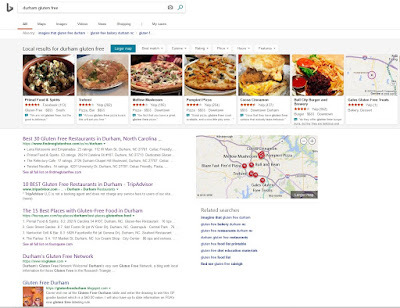 I'm pleased to see I made it to the front page of Bing and a few other blogs are listed there too. On the other hand, I have my blog in my favorites, so it might be just a reflection of the algorithm looking at my favorites. Other people might not see that. I'm happy to see Imagine That listed in several search engine results, but Durham Farmer's Market (where you can buy it, and soon, Millefiori bread), is not listed, not even farther down. You know, it gets harder and harder not to respond to such malarkey with a cynical remark. 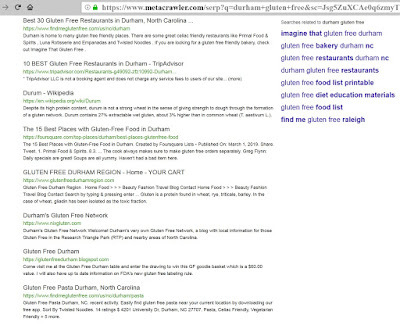 But the fact is, all of those options are not safe for Celiacs and none of the safe, fully gluten free restaurant destinations are listed, not even if you scroll down more. It's not that a mixed restaurant can't be safe, it's that the ones that are fully gluten free aren't even listed, and I think they should be listed first. And the problem with a mixed restaurant is that it's a RISK. So pushing aside the really safe places so you can show me all the places that claim they have "options" isn't helpful. Not a bit helpful. Again with the tripadvisor and findmeglutenfree at the top. There is the amusing misspelling of durum which is totally irrelevant, yet manages to find its way to the front page of nearly every search - surely that's part of the idea that Wikipedia should define our lives. And the one that ends with "YOUR CART" is from a place called Durham in Canada. So failure of Geo-location there. It does ask for clarification on the right, which I consider a plus. I appreciate the privacy of this one, but it seems to rank pages using the same algorithm as Google. But without the unhelpful extras. Possibly the extras would entail less security, I don't know. It doesn't get a much better grade though, because the duplicates push relevant results down. This one has a bit more news, which is helpful, in among the usual links. 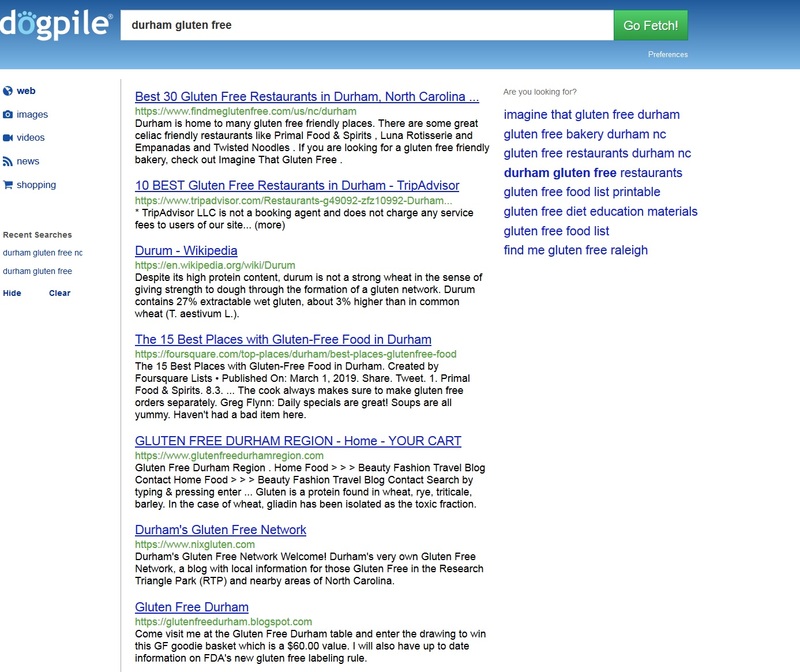 It does however, list on its front page results the ludicrous number of 203 Gluten Free Restaurants in Durham! Don't I wish that were true! The exclusion of Yelp from most of the search results tells me that Yelp is probably being intentionally ignored. At least this one shows Yelp. Kudos for the inclusion of Yelp, but way too many duplicates in this one. I'm probably biased, because I've liked metacrawler for decades. But of the options, this one seems the least bad. It asks you for clarification (which a few others do too), on the right side. It shows a good mix of blogs, and restaurants, though a lot is missing. 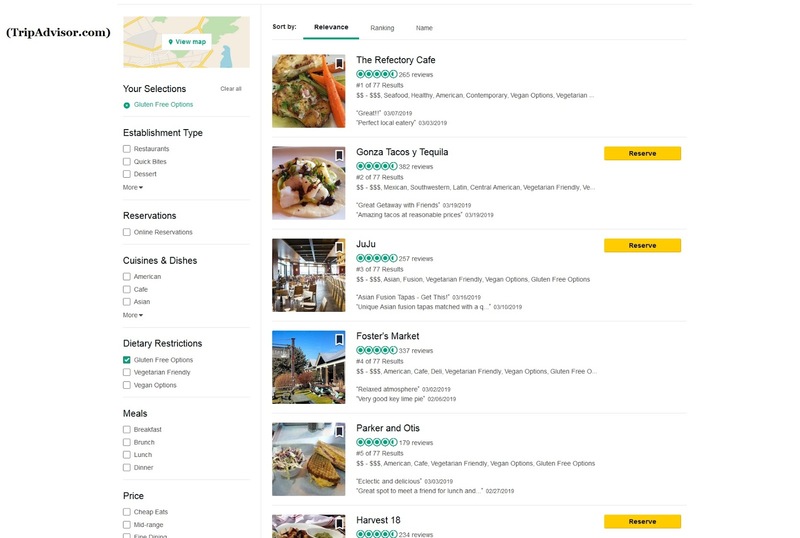 It does still fail to show a person any of the safe restaurants on the first page. The first restaurant on page 2 is Primal. A few engines managed to get Primal on the first page. 2. 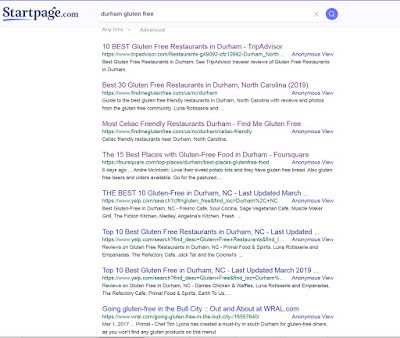 Fully gluten free restaurants (either missing or down-ranked) Fresh Levant restaurant and Pizzelle Bakery are both completely absent, yet are both safe for Celiacs, only Primal makes it on any front pages. 8. 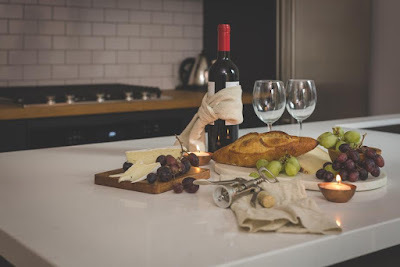 Supermarkets known to be helpful, such as Ingles, Earthfare, and Lowe's Foods (local before national), followed by supermarkets that are nationally known for gluten free focus Kroger, Whole Foods, Fresh Market, Sprouts (Publix? not sure, haven't seen that yet). 10. 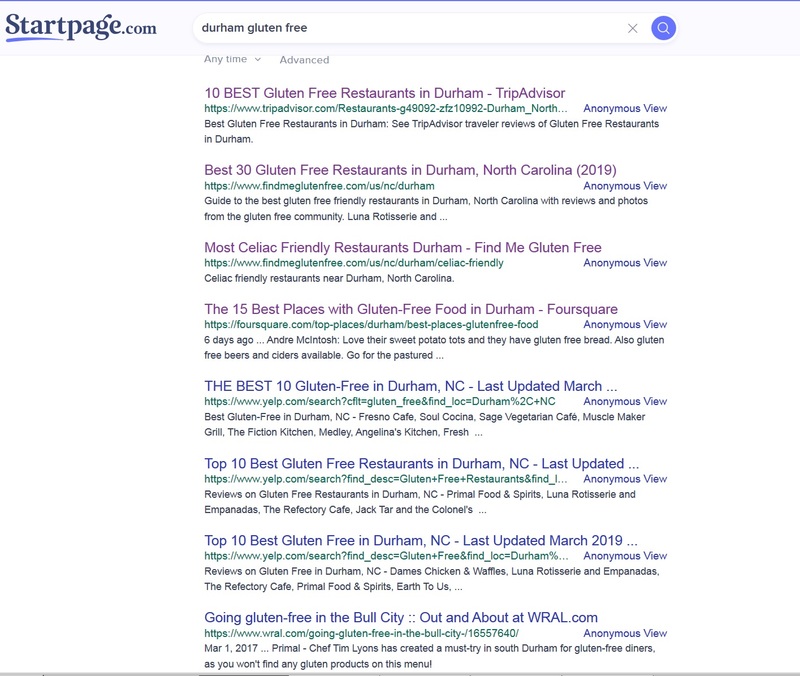 We could use a checkbox that detects such phrases as "gluten free" "(allergen) free" and "low fiber" and asks whether a person is looking for information pertinent to their illness (ie. Celiac, Dairy Allergy, or Diverticulitis, among others). Maybe it could be a drop-down menu next to verbatim/all results? I honestly can't say I have an answer. But at least I've demonstrated the problem. There are always new search engines coming out and new ways to look at information on the Web. But I think it's also important to point this problem out to those who run the most popular search engines, because in a very real way, they control our reality. Poorly designed search engines can fool people in to a false sense of security, or worse, they can cause everyone to become paranoid about every suggested search result because they sense the lack of quality assurance. That erodes the usefulness of the Web, and it lowers the value of their paid ads. If that doesn't make them stop and listen... wait, hold on. That's not the ultimate goal is it? Profit is supposed to be made from valuable work. The current situation isn't of value to me or many people with an illness. I can make a resolution to avoid places that only offer "gluten free options" and do not commit to being fully gluten free on the premises. After all, nearly all foods can be made deliciously without gluten. There's no excuse to put my health at risk. Avoiding the risk is something I can do. 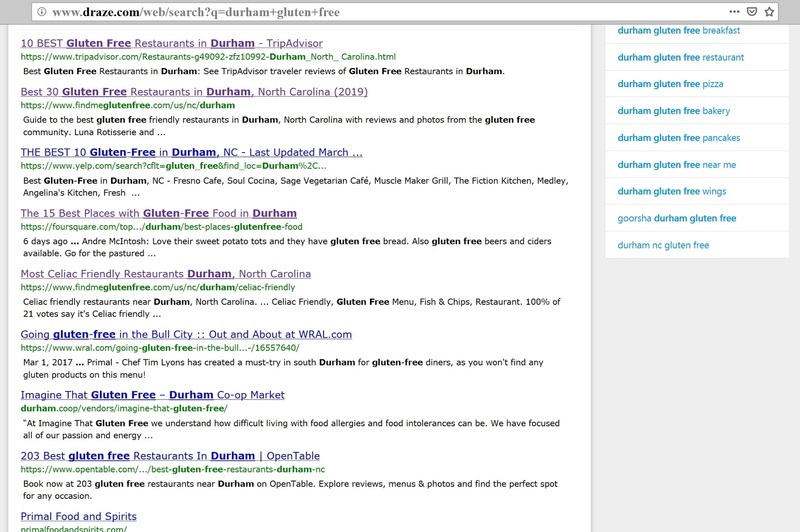 The website "Find me gluten free" has become a joke. Search engines are actively working against my illness, or not being helpful for it. So it seems to me, the only self defense I have, is total loyalty to those who "get it" and boycott of those who don't. Is it "ugly" to boycott? Well I guess it depends on if restaurants think it's OK for me to get sick all week, so they can have my $30 today. That's ugly too, and it's being driven by the very search engines that are supposed to be making our lives better. To make matters worse, dangerous articles are written about how much happier people are if they don't worry about gluten contamination in their food. Well, first of all, duh. Who wouldn't be happier with less stress? And second, that's not helpful when everything, including search engine results, is designed to cause people to make a damaging mistake. Right now, hypervigilance is the correct way to avoid gluten. And a synonym for that is anxiety. So we have an illness that causes anxiety (Celiac), which forces people to live in an anxious state (hypervigilance) in order to avoid an injury (by gluten) partly because of the incompetence of search algorithms. So I've demonstrated why it's time to stop blaming the victims and start cleaning up the search engines. Let's get it together, shall we? Before someone chooses a risky restaurant and gets inadvertently hurt (again)? Please?